It’s never black or white with the market. And on the price chart of Nvidia Corporation (NASDAQ:NVDA) this strategist recommends bullish investors see the ‘red’ and err on the side of caution and profitability — or a much stronger spot for entering NVDA using a long put butterfly spread. The coverage included a handful of buy recommendations in the likes of Intel Corporation (NASDAQ:INTC) and Broadcom Ltd (NASDAQ:AVGO), as well as a couple sell ratings on Micron Technology, Inc. (NASDAQ:MU) and Texas Instruments Incorporated (NYSE:TXN). 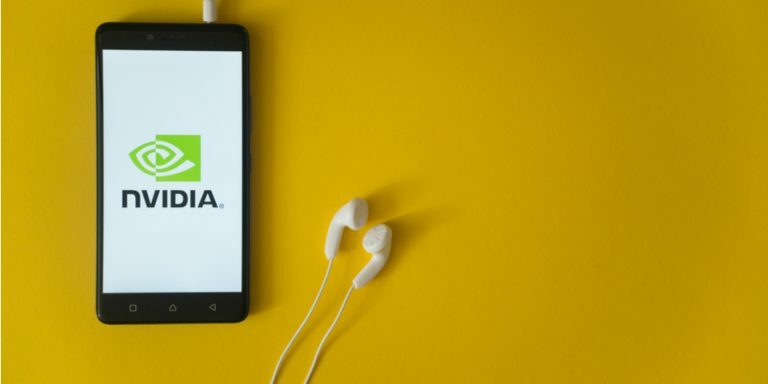 For its part, NVDA stock fell into UBS’ most popular middle ground in being slapped with a neutral rating, but above market price target of $250. It appears with shares off 2.15% Thursday investors were more interested in the more qualitative and cautious take on Nvidia. And given the run Nvidia shares have enjoyed, the price action isn’t hard to appreciate. 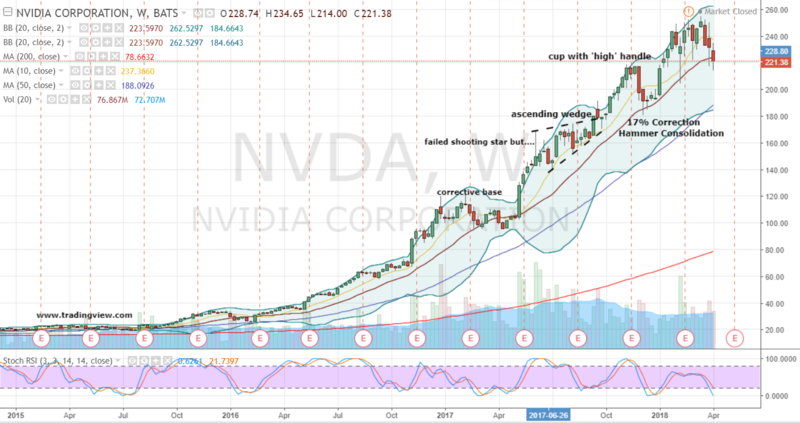 Looking at the weekly chart of NVDA and shares have enjoyed a nice run the past couple years. In fact, Nvidia has been the S&P 500’s strongest performer since 2016 when it began its massive climb higher from a lengthy corrective base. It’s also obvious shares are still in an uptrend defined by NVDA’s series of higher highs and higher lows carved out over this period and which remain intact. But our expectation is Nvidia is readying for a healthy reset and will become a bit more familiar with those red candlesticks on the price chart. Bottom-line, after an incredible run and extraordinary price momentum, Nvidia’s high base count and rather tired looking stochastics has this strategist anticipating a much-needed healthy correction of perhaps 20% to 30% to reset NVDA, as well as put it in a stronger buying position for investors. A modified long call butterfly outlined in late January was the proverbial home run for bullish positioning. In less than two months the proffered March $235 / $250 / $20 call combination ballooned from $3.00 to $14.52. That allowed for a profit of $11.52-per-spread while nearly maxing out the capped profit potential of $12.00 with NVDA finishing at $250.48 on expiration. Reviewing Nvidia’s options Thursday night for strategies aligned with smartly buying into an anticipated larger corrective move, I’m favoring a standard, but moderately bearish or cautiously-positioned long put butterfly. Specifically, with NVDA at $221.38 the May $210 / $200 / $190 put combination for $1.00 is attractive from our perspective. If shares proceed to move lower, a profit of $10.00 at expiration is possible if Nvidia landed, similar to the prior spread, on the middle strike. Personally, that’s unlikely to occur again, let alone allowing for back-to-back home runs. Nevertheless, the max profit capture is situated near the 200-day simple moving average. That would result in a healthy corrective move of just more than 20%. It could also take the shape of a possible double-bottom test of the key low struck in during February’s short-lived panic. Lastly, if our technical outlook is completely wrong, this strategy keeps the position’s loss contained to less than 0.50% of NVDA stock. That’s nice. At the end of the day one could always view the modest premium paid as the cost for waiting on more supportive price action from Nvidia shares than is available today. Article printed from InvestorPlace Media, https://investorplace.com/2018/04/nvidia-corporation-stock-cautious-buy/.